After my harrowing experience at the Roberto Cavalli Paris boutique with inflexible staff and my encounter with the rude and brazen store manager - Mr Denis Merlo, (Read: Tragedy at Roberto Cavalli with Mr Denis Merlo) I was unable to purchase the bright yellow python handbag I had wanted so badly for a special occasion which marked a milestone in my personal life. 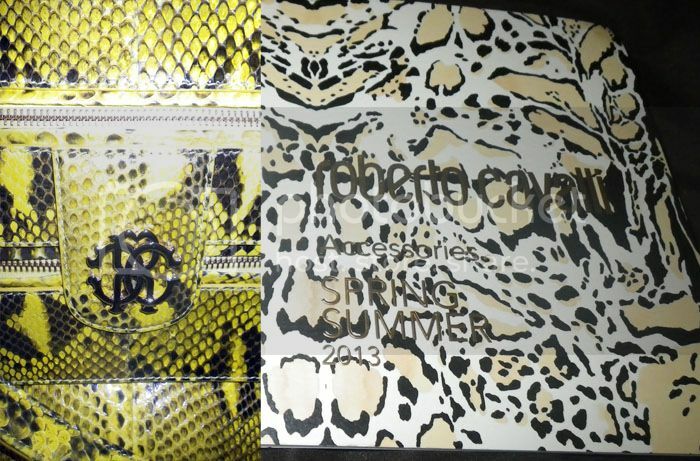 I spent weeks thinking about it and finally decided to contact the Roberto Cavalli Rome boutique. I was assisted by a surprisingly polite and eager staff - Miss Alessandra Capuano who served me in perfect English. Not only that, she understood what I wanted and immediately shipped the bag over to my address in the UK once I made the payment. Although there were some silly problems involving UPS who bungled up the postal code and country destination which resulted in my poor parcel being delivered to and fro between two different European countries three times. I would definitely make a trip down to the Roberto Cavalli boutique in Rome and Milan just to experience better customer service than in Paris.